What’s the standout statement piece that takes a t-shirt from drab to fab? What can transition your office look from day to night? What’s the perfect party dress topper? A velvet blazer, that’s what. It’s one amazing item in your closet that you can throw over most anything this holiday season, and you’ll be ready for a social calendar full of special occasions. Read on for some major holiday outfit inspiration that will keep you supremely stylish all season. And check out a few blazer shopping finds at the end. Velvet is an inherently dressy fabric, which makes it ideal for holiday festivities – but why not use it to dress up your everyday? Grab anything from a white t-shirt to a knit turtleneck to your favorite blouse, add medium blue or distressed denim, and then use velvet to inject a little holiday glamour into your daytime look. And don’t forget – velvet doesn’t only come in black. Explore rich shades of the season in forest green and burgundy, or try a deep navy for something a little unexpected. 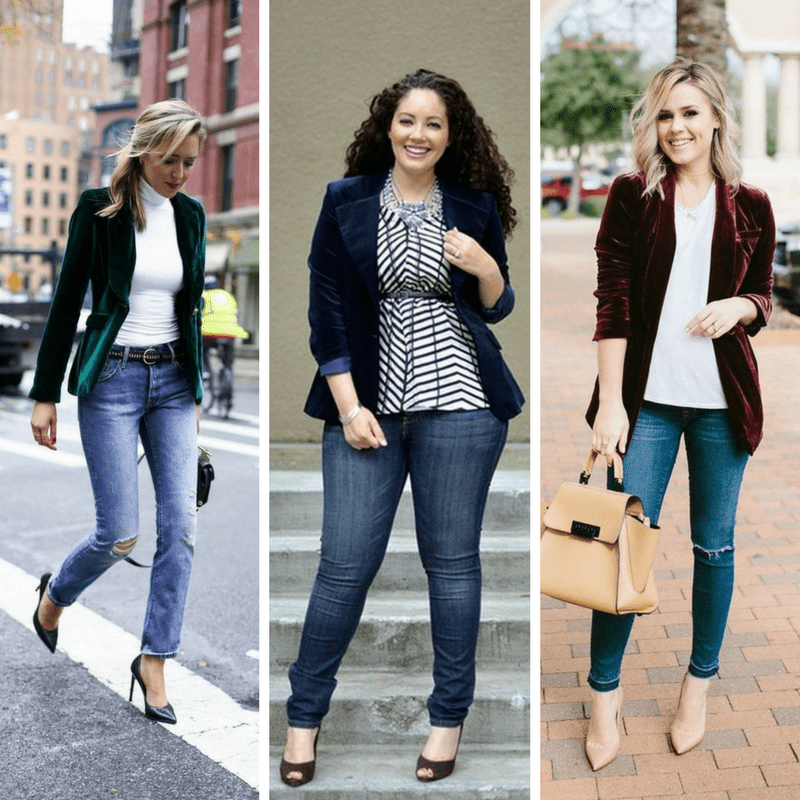 When straddling the line between casual and formal, (and you really want to achieve a dressy jeans look) a velvet blazer can be your best friend. A pretty blouse, dark wash or black jeans, and the blazer are all you need for that ‘dressed up but not too dressed up’ style. With a hectic holiday schedule, heading straight from the office to drinks and dinner is bound to happen at least once (or twice, or three times!) So how do you make your daytime look nighttime-ready? 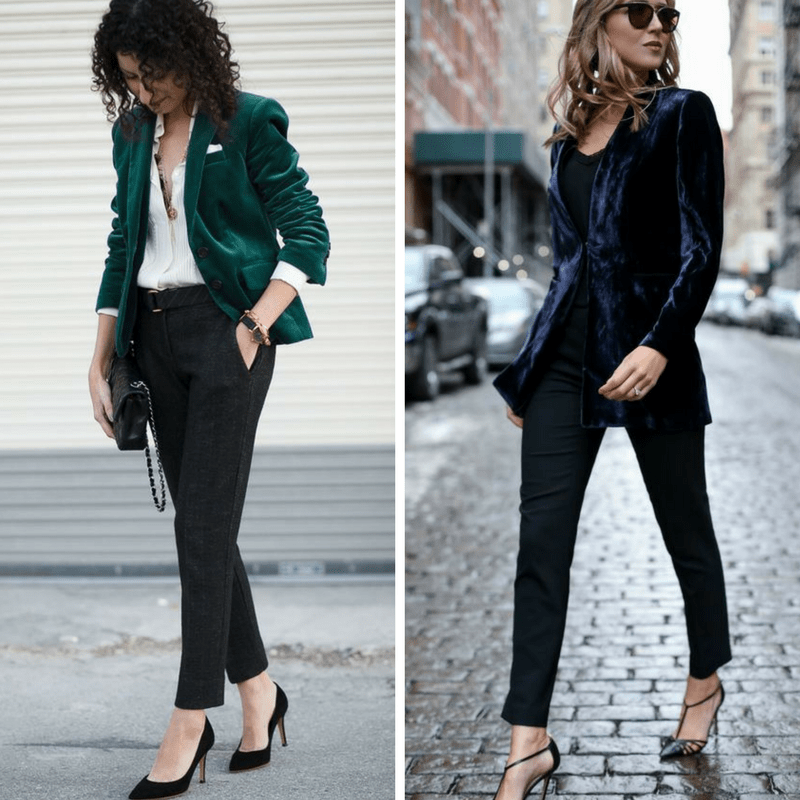 Keep it simple for your 9-to-5 in black pants and heels – and then before you head out for the evening, trade your workday blazer or cardigan for a sleek velvet jacket. You can go traditionally sophisticated in a cut that echoes the shape of your suit blazers, or you can add some edge in a modern moto-inspired style. If you’re among the fashion-daring or you’re just looking for something totally new this season, go all out in a velvet pantsuit! It’s a completely unexpected stand-in for a cocktail dress, and staves off the chill if your evening festivities end up outside. And besides having an amazing outfit, you have a fun blazer and pants to pair with the rest of your wardrobe. Now isn’t that great? 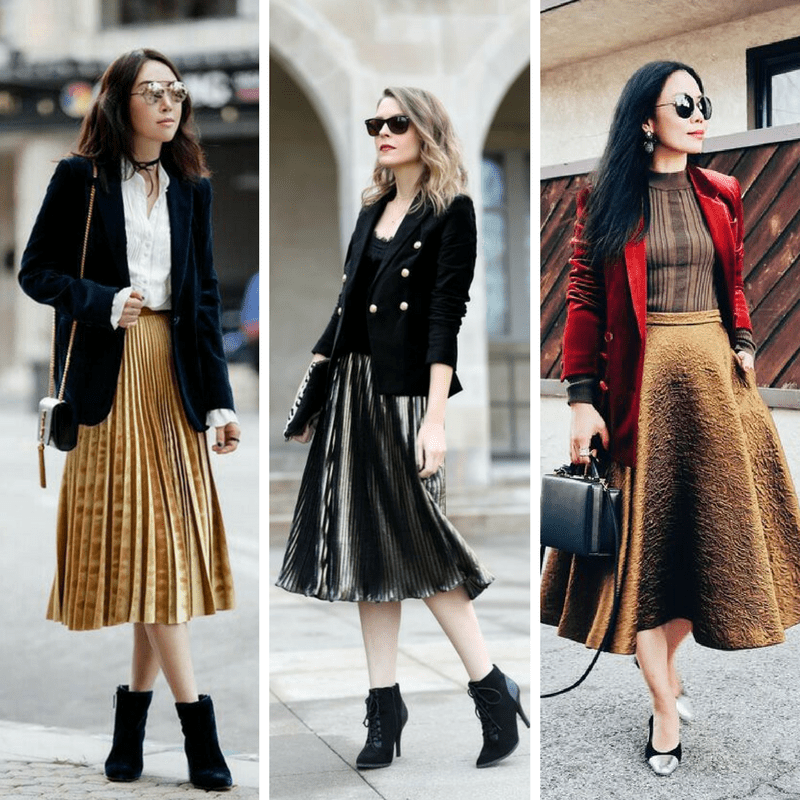 If you’re looking for another alternative to the ubiquitous cocktail dress, how about a velvet blazer and metallic midi skirt? Make this look your own by how you style it – with a button-down shirt and booties for a toned-down evening, or with your party heels and silky camisole for a true holiday soirée. A velvet blazer is specifically spectacular as a layer over a fancy dress, for several reasons. Depending on your weather, it can be your outerwear piece for the evening. It’s dressy enough to keep on indoors if it’s cooler than expected, or you’d like to cover your shoulders over a sleeveless dress. 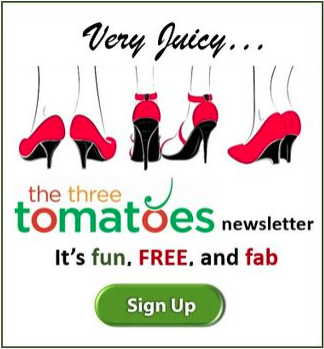 And a fitted style can enhance your silhouette, while a boyfriend cut stylistically contrasts a slinky slip dress. If you see yourself wearing a velvet blazer multiple times during the season, invest appropriately. 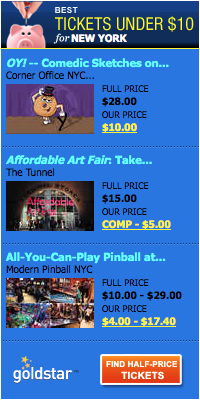 But if it’s a one (or two) time thing, there are phenomenal less expensive choices out there, too! 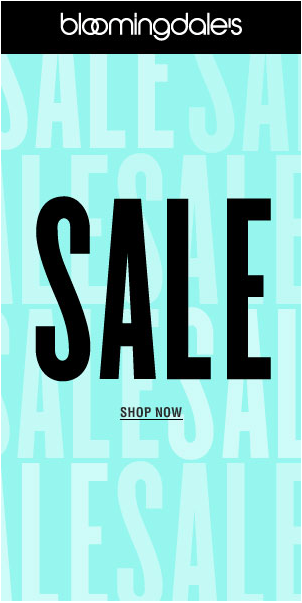 Classic Velvet Blazer by ELIZA J $118.00 Nordstrom. Another Eliza J. A collarless neckline updates a fashion-forward blazer in luxe velvet dyed a rich hue. $118.00 Nordstrom. Stretch Velvet Blazer. Rock a mod look in a richly-hued velvet blazer that features a floral motif. $149.00 Nordstrom. And a few of our picks. Tahari by ASL Womens Stand Collar Open Velvet Jacket. $35.29 – $42.99 Amazon. Calvin Klein Women’s Velvet Two Button Jacket.$139.00 Amazon. HeLov Women 1 Button Velvet Blazer Coat Slim Fit Casual Lapel Office Jacket Suit. $31.00 Amazon. If you’re looking for more motivation to try something new this holiday season, follow me on Instagram & Facebook for daily style inspiration. 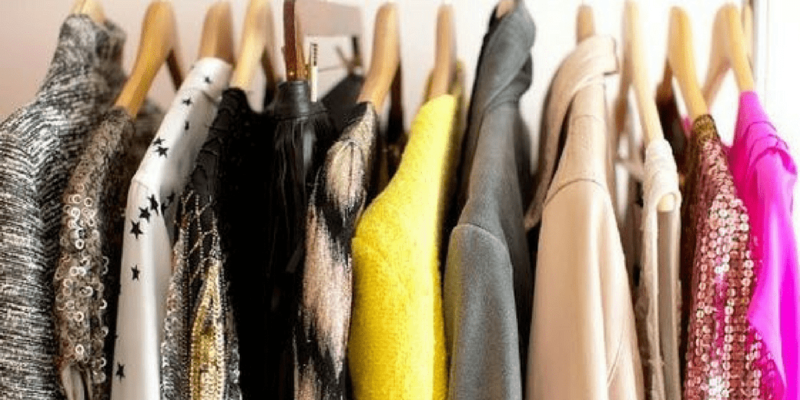 Paul Julch helps busy people to streamline, organize, and update their wardrobes so they can get dressed with ease and always look stylish and feel confident. Any budget, any lifestyle, any body. His business is Urbanite|Suburbanite, and he works with clients to develop a modern, current, versatile wardrobe that expresses personal style rather than trends. 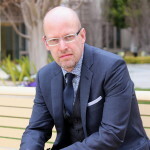 Paul is based in the SF Bay Area, and remote wardrobe & style coaching is available for out-of-towners. Visit Paul’s website http://urbsuburbstyle.com for more style advice, and follow him on Facebook www.facebook.com/UrbaniteSuburbanite/ , and Instagram	www.instagram.com/urbsuburbstyle/ to stay up to date on the best styling tips and tricks.